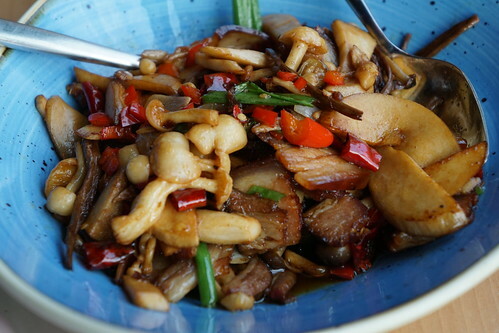 The Hunanese also like to pickle and ferment their vegetables, and you get a flavor of that here in the Yellow River Beef. 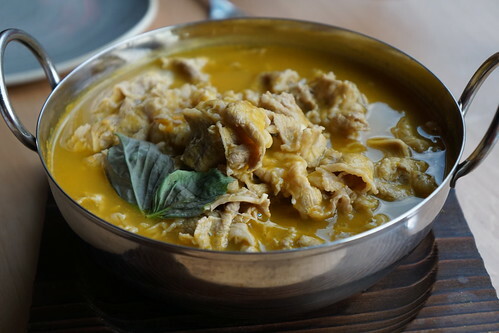 The broth is a little spicy but you also get some tartness from the pickled green mustard that sits at the bottom of the bowl. 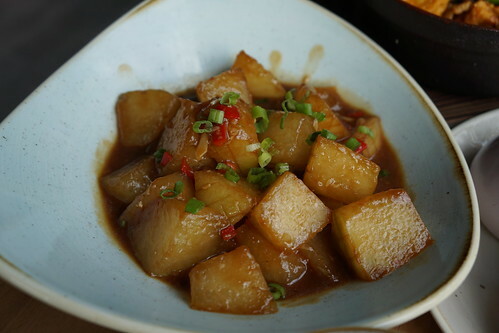 A popular vegetable in China that we rarely get in the US, they're like radish in texture and sweetness, nicely cooked with a rich garlic black bean sauce. 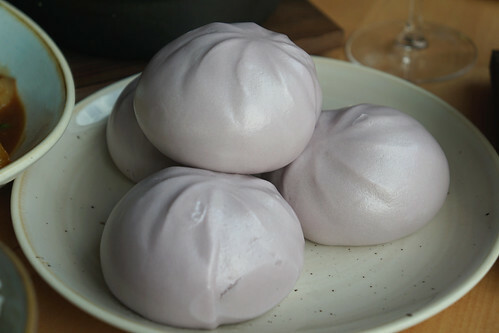 I'm afraid the lovely purple color of the buns didn't really show up in these photos, you just have to see them by yourself. 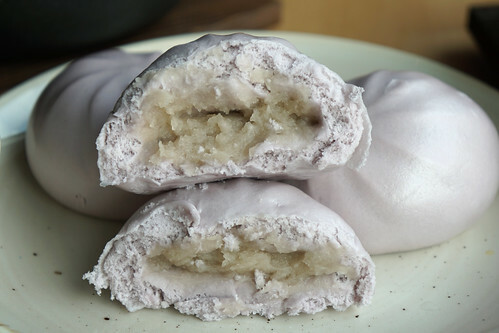 These buns with the sweet lotus filling are great to share or for dessert. 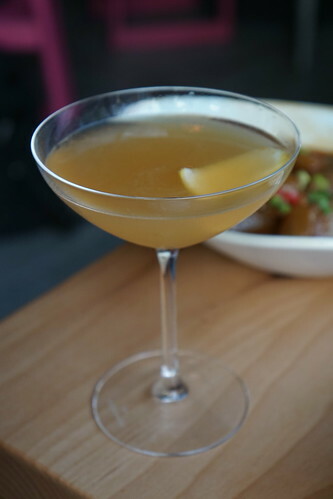 This is the simplest (less sweet) of the baijiu cocktails, and the flavor of the liquor comes out nicely here. My friend tried the Pyroclastic Punch with Fruitlab hibiscus liqueur, passionfruit cordial, and lemon which was too sweet for me. 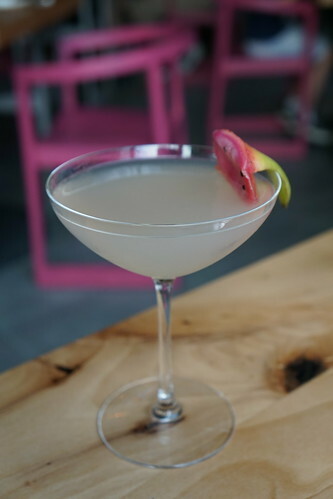 While Sumiao is certainly more expensive than its Chinatown counterparts, it offers something more with its chic decor, its location near all the tech and biotech companies in the area, and its selection of cocktails and craft beers. 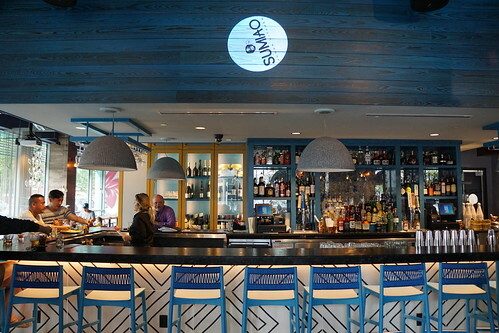 The food was also very good, and felt more refined and less heavy than most. 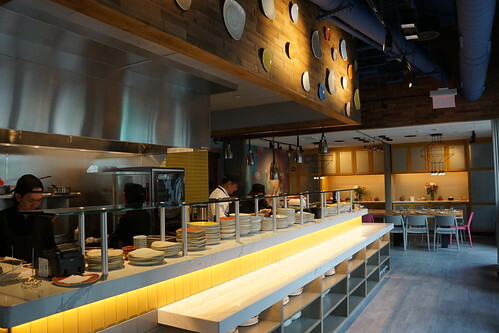 If you work or live in the area, consider Sumiao as your regular lunch or dinner rotation. 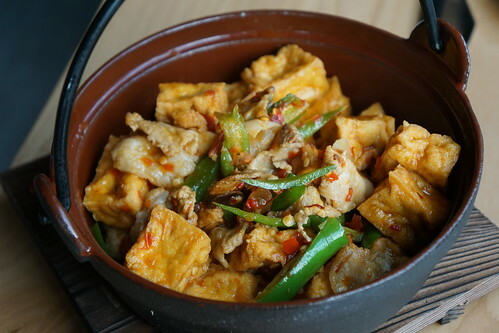 If you don't, pay them a visit anyway to taste what Hunanese cuisine is like.